Three Barnsley College Technical Theatre apprentices have been undertaking work experience at a handful of high-profile shows hosted at Sheffield Arena including boyband phenomenon, One Direction. 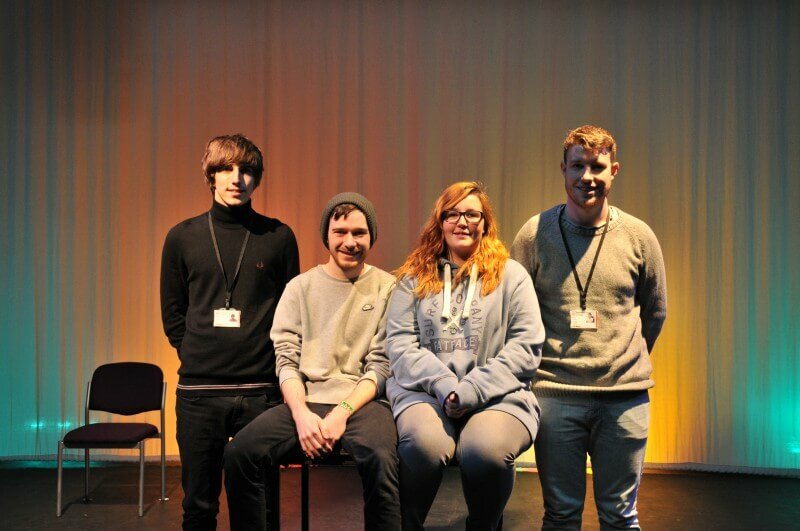 Danielle Utley, 17, Dylan Greene, 19 and James Skiffington, 20, were first offered the opportunity to carry out work experience for the Backstage Academy, an organisation specialising in degree courses for the live events industry, after networking with a former student who had studied there. Covering a range of duties from helping to build the main stage, stage management and overseeing the running of the lighting and sound, the apprentices have gained hands-on experience and have been recognised by some of the top production managers in the industry. The trio wish to progress into Higher Education with the Academy once they have completed their qualifications at Barnsley College with the help of their impressive work experience log. Danielle, Dylan and James have all been asked to work during live events for popular acts such as Take That, Florence and the Machine, The Prodigy, The Libertines, The Cribs and most recently, Mumford and Sons.